Our first offering, The Revolution Diver, was first presented as a rendering to hundreds of thousands of watch aficionados on Watchuseek forums. We've incorporated the feedback of hundreds of watch lovers and timepiece professionals from around the world. It truly is built by enthusiasts for enthusiasts. Everything about The Revolution Diver screams longevity. We've overbuilt this watch using 100% custom designed and manufactured components, and we've paired it with Citizen Miyota's modern automatic movement, the 9015. This is a watch your children's grandchildren will cherish. A beautiful dial with incredible legibility paired with a precision, automatic Japanese movement. Does it get better than that? 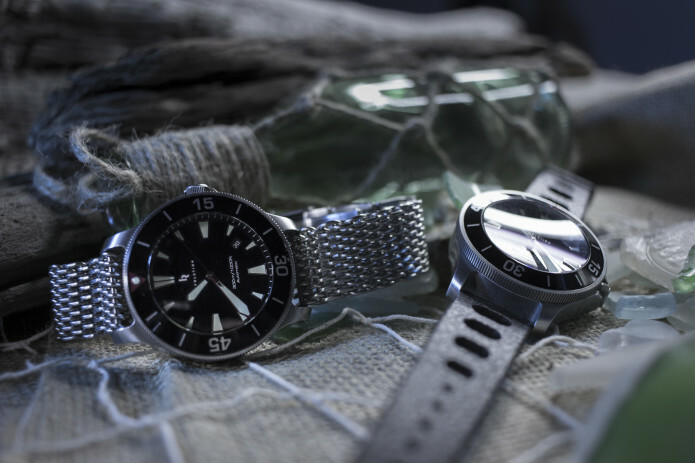 Our Diver comes with vintage-inspired, modern manufactured straps and bracelets made for comfort and performance.